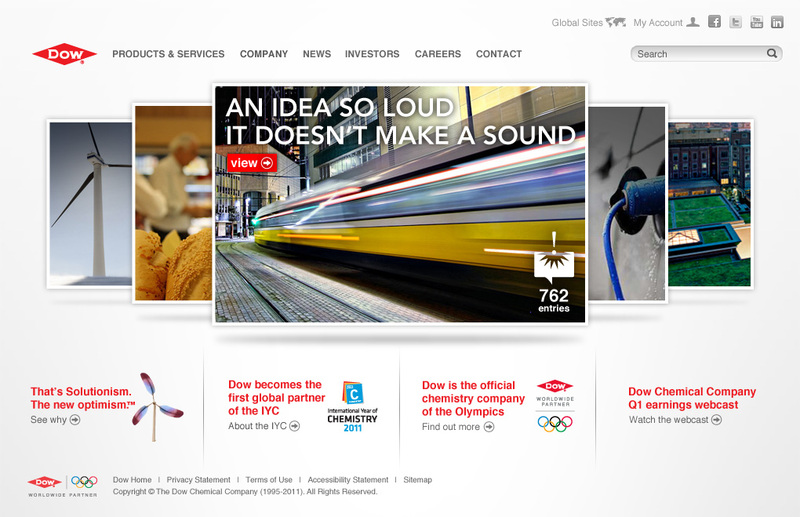 Dow’s Solutionism campaign captures the idea that the more we talk together, the more we solve together. 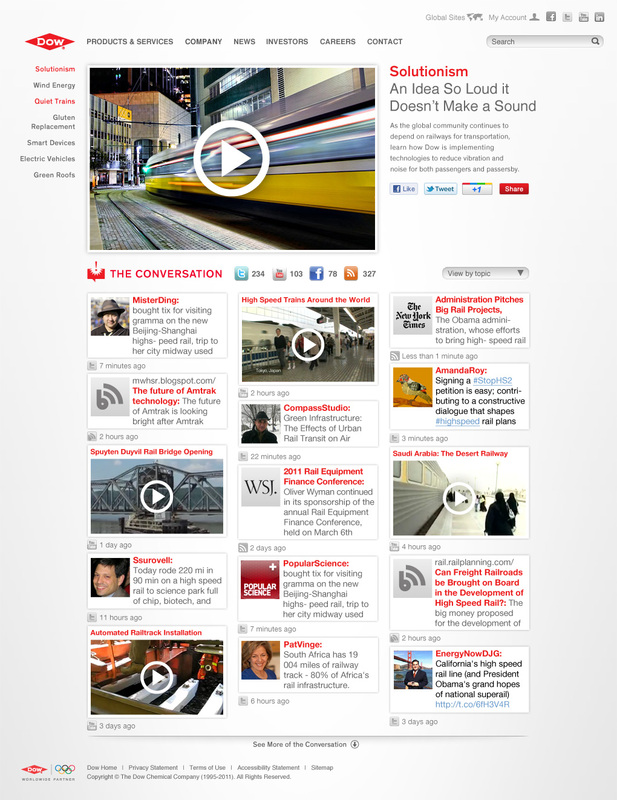 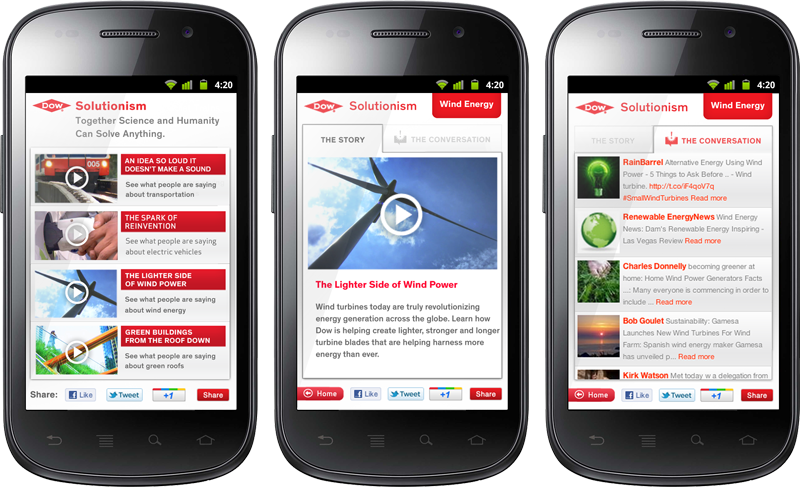 With this at it’s core, Dow Solutionism stories online aren’t a one-way conversation, but a place where this dialog comes together in a unique online and mobile destination. 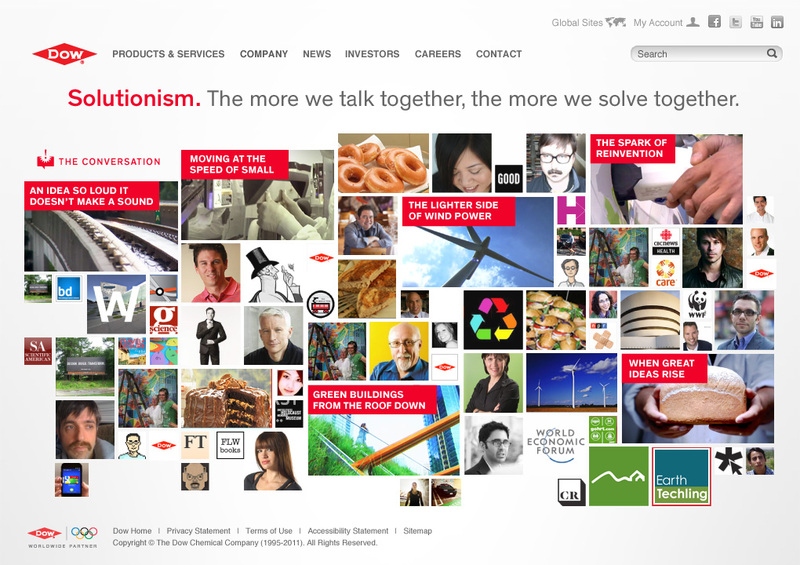 Each Solutionism story consists of both Dow’s contribution to the conversation addressing global mega-trends, as well as commentary from across the internet and social media.